No longer sold digitally due to the release of The Complete Saga containing this and the last game's content together. Patch 1.02 is the latest patch available. A Lego Star Wars: The Video Game save file unlocks its characters to play in this game's free play mode. 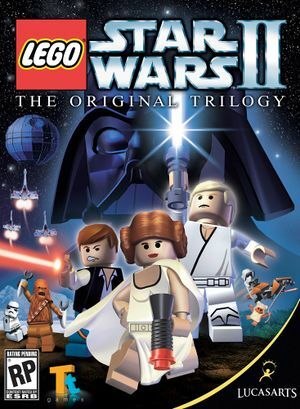 To unlock the characters from the first game, the saved game of Lego Star Wars: The Video Game has to be on the default install location of C:\Program Files\Giant\LEGO Star Wars Game, even on 64-bit versions of Windows. This page was last edited on 13 October 2018, at 01:08.